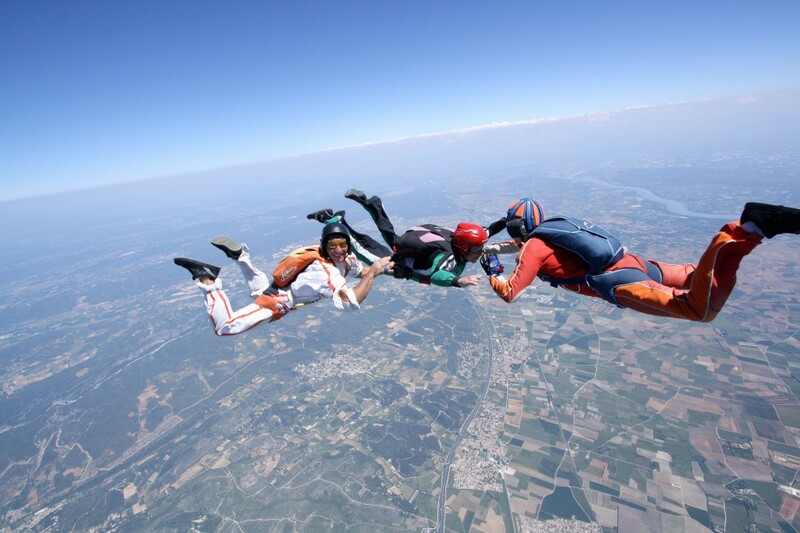 Skydiving is a really addictive sport which will give you extreme sensations! You can learn to skydive with different methods depending on your motivation, your budget and the time you have. There are many disiplines: formation skydiving, freefly, freestyle, accuracy landing, wingsuit, etc. Il existe de nombreuses disciplines : le vol relatif, le freefly, la voltige, la précision d’atterrissage, la wingsuit, etc. If you want to experience skydiving without making a tandem jump or if you’ve already done one, you can go for the AFF first jump or do the AFF course (Accelerated Free Fall). You will then become an autonomous skydiver and can continue your training discovering new disciplines and developing your skills! Go ahead and take the plunge! Skydiving had its beginnings in 1797 when André-Jacques Garnerin jumped from a hot air balloon over the Parc Monceau in Paris. The elaboration of the aircraft was the starting point of skydiving development. The military immediately saw the value of the parachute for deploying land troops and equipment directly to the heart of enemy territory. 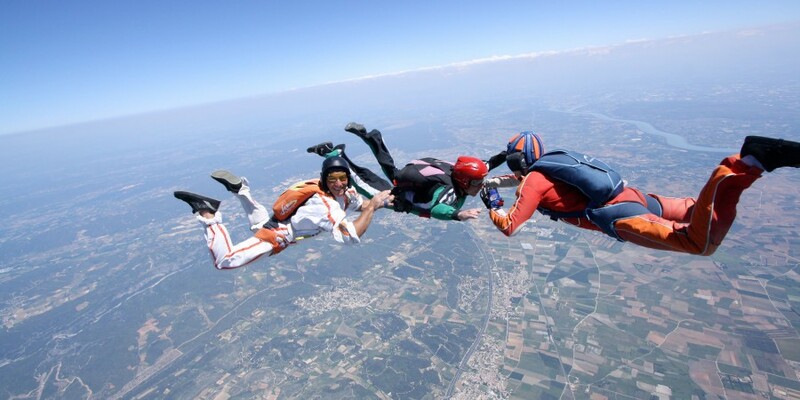 Sport Skydiving develops in the second half of the twentieth century and its practice is spreading in both Europe and the United States. Big names of the skydiving community contributed to its fame with the public. So Patrick Gayardon helped popularize skydiving via numerous TV commercials or advertising for sponsors reporting. He also helped develop the first wingsuit. More recently, Felix Baumgartner broke several records by jumping over 38 900 meters with the Red Bull Stratos project. You have also probably seen videos from Soul Flyers, Fred Fugen and Vince Reffet, that defy the laws of gravity with their BASE Jumps from the tallest tower in the world, Burj Khalifa or skydiving above Mont Blanc at nearly 10,000 meters. You understood, skydiving is a sport in constant evolution. The material is constantly evolving, so do disciplines as well as teaching methods. Do not hesitate and sign up for your first jump or your AFF Course.